Goal: Promote community food security and nutrition equity by increasing access to nutritious foods in low-income and low resource urban neighborhoods. The PRCHN's core research for 2014-2019, FreshLink actively works to create a healthier community by identifying and testing ways to increase access to nutritious, healthy foods in low-income, low-access neighborhoods throughout Cleveland. 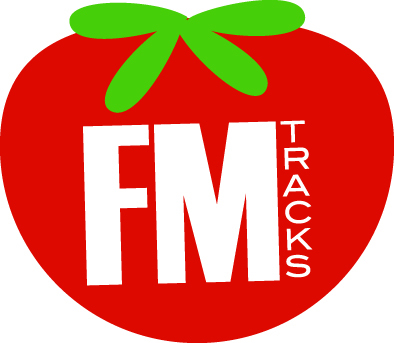 FM Tracks is a novel iOS application and web-based portal to collect, manage, and evaluate information about your farmers' market. In August 2016, FM Tracks co-creator and PRCHN Associate Director Dr. Darcy Freedman was asked to consult with the United States Department of Agriculture to share her findings around the adoption, reach, and impact of farmers' markets on people receiving SNAP benefits. FM Tracks is at the heart of these programs. Read more about Dr. Freedman's work with the USDA. PRx encourages pregnant women and their families to increase their consumption of fresh fruits and vegetables through a "prescription" to eat more fresh produce. Participants also received recipes and other support materials. Watch this PRCHN seminar presentation from February 2015 to learn more about the Produce Prescription Program. FARE is a broad-based, community-wide initiative designed to connect and support organizations and individuals engaging in healthy food access work in Cleveland and Cuyahoga County. Through the REACH grant, the PRCHN is working to improve access to healthy foods in under-served neighborhoods by working with convenience and corner store owners to add fresh fruits and vegetables to their inventory as well as other healthy foods. 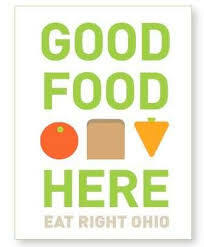 Produce Perks is a statewide initiative led by Wholesome Wave in partnership with the Ohio Department of Health. The project aims to increase access to affordable, nutritious foods in high need areas across the state through three nutrition incentive distribution strategies. BCOP is a partnership between the PRCHN, The Ohio State University, SNAP-Ed program; and the Ohio Department of Health, Creating Healthy Communities Program (CHC) to develop decision and diagnostic tools that can be used by CHC and SNAP-Ed practitioners as they implement and sustain four different nutrition-related policy, systems, and environment (PSE) interventions. foodNEST 2.0 is examining key changes to local food systems, such as supermarket expansion, healthy-eating marketing campaigns, or emergency food assistance programs, in order to develop models that can be used in low-income neighborhoods to build equitable food systems and community health. foodNEST looked at how changes in the food retail environment affect the health of a community.